In writing this article, (which was supposed to be a succinct Top Ten), I have realized that there is at least a 16 page booklet in me about this – I think, after the crazy summer season, I will take some time to write a proper guide for those starting out and not sure where or what to do. In so many ways – just do it! If this guide helps you – great. Be warned – Short Term Rentals (STRs) are not a great rich(er) quick(er) scheme! I have heard some STR/SA trainers saying that any property, anywhere can successfully be turned into an STR. Perhaps, but the success of it depends on many things. Firstly, the location of the property will go a long way to determine its appeal to guests. And, yes, different types of guests want different locations – see below. A city centre property in Edinburgh will attract more guests, paying more than a flat in Dalkeith; however, I am not knocking Dalkeith. We personally own an STR just outside Falkirk and we regularly take 300% of what we made as a long let. Don’t dismiss the ugly duckling! I do not condone or suggest putting out “dummy ads” on Airbnb – your competitors are your dummy ads, and they helpfully show their calendars and changing price bands. Most areas in Britain now have at least two or three STRs and, as it is the easiest to list on, most are on Airbnb. Check their listing, check their pricing and check their occupancy levels. It is also worth checking out reviews to see if guests like the area etc. I am not qualified to offer advice on this apart from you should speak to your broker to ensure you have been operating in a way that compliant with your financial arrangements. 4. Making the most financially – speak to a qualified person. Again, with the proviso that I am not qualified to offer advice, there are many reasons why landlords are turning to STRs/Holiday Lets/Furnished Holiday Lets (FHLs). In 2015, George Osborne introduced Section 24 which limits landlords’ ability to offset their mortgage interest payments against the tax. FHLs, as they are seen as a business, not an investment, escaped this attack, meaning the interest portion of your lending can be offset against your profit before tax. I would also suggest you speak to a qualified person about Capital Allowances. 5. Have a guest avatar – knowing your future guests. 1. Be flexible but not too flexible. Despite both Airbnb and Booking.com repeatedly saying to you that you will limit your success by not having one night stays, resist! Do not do one night stays! Unless they are acting purely as a filler. We are currently taking over the management of a few properties from landlords who obliged with Airbnb’s and Booking’s wishes and they are running around with 22 turnarounds in July in one flat! Their argument was that the cleaning fee (£40 was added to the price so it didn’t matter). Cleaning and laundry for 8 beds cost more than £40 unless you hire yourself out at £8 an hour! Don’t. The time that was not being calculated (perhaps you could outsource the cleaning) was the guest liaison time. Each guest requires time, requires emails, requires assurance that they are special and that they are important to you. Keyboxes can help (though the climate against these in Edinburgh is vocal) but can you imagine meeting 22 different guests in a month and explaining to them what they should do, where they should go etc. 22 sets of guests who can mess up the heating; 22 sets of guests who want to know the best place for breakfast – you get the picture. 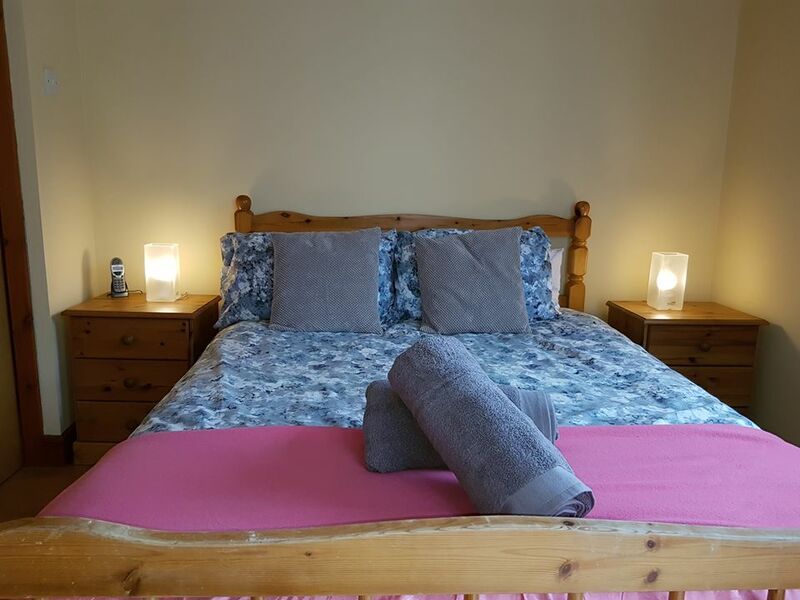 We run a 3-day minimum stay unless it is proving difficult to get bookings and we will go down to 2 nights. We will also go down to 2 nights if there is a 2-night gap – but, we up the nightly rate to ensure we have a minimum acceptable level of return for both us and the landlords. Get yourself a “What’s On” guide to your area and adjust your pricing accordingly – on two properties this year we missed potential higher rates on the marathon for example! 2. Pricing –chasing profit and not occupancy. This point is inextricably linked to the one above. Many operators boast of 95%+ occupancy. I do not care about occupancy. I care about the money, after all costs, that I can return to our landlords. Evergreen would make more money by filling every night (and shorter stays would benefit my wife’s company which specializes in STR turnarounds); however, one night stays are not worth it for me nor my landlords unless the rate is £300 a night. For example, Evergreen’s fees are 15% of reservation cost after OTA commission. A one night stay of £100 would give me £15. That could equate to £450 a month for 30 nights. No thanks. Each guest requires an hour or more of my time – even with systems – if you are doing it right. This model is not scalable and not sustainable. I used to think I could take a decent photo with my snazzy £200 bridge camera; I could get low, remember to put the loo seat down etc and I was getting bookings – all good! 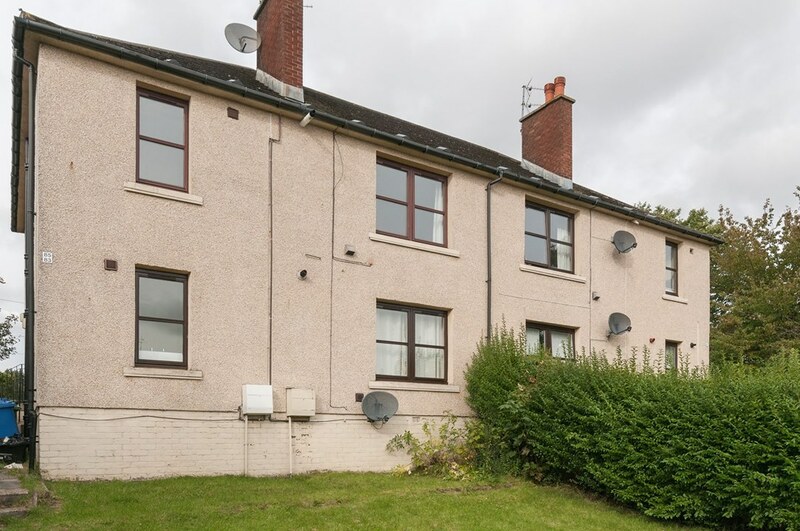 However, in the last 18 months, the market, particularly in Edinburgh has become ever more competitive (with do-it-yourself hosts offering whole flats for one night for £60 including cleaning). Therefore, it has become very important not to get sucked into the race to the bottom and focus on quality. The first impression a guest gets is from the photos displayed online. Get them right. Look at your listing as a guest and choose your ‘cover photo’ wisely with your guest avatar in mind. Visit your listings as a guest on a different browser to check the online appeal and photo placement. 4. Maximising your listing’s appeal – 100% page score, highlights, local amenities. Listings are easy! Tick the boxes say where it is and where it is near and boom – guests are beating at your door! Not so much. Airbnb allows you to wax lyrical about the beauty of your tiling and local amenities whereas Booking.com will auto-generate from a load of tick-boxes. However, they keep introducing tick boxes and your page score lowers and your listing get subsequently gets lowered if you do not update them. I have recently had to tick over 10 pool-related boxes for a 3rd floor flat on Thistle Street. (PS. Don’t call your flats, call them apartments – it sounds better and more global). If a new restaurant is getting rave reviews nearby, list it in your description. Also, on Booking.com, fill in the bit about you and, where possible leave clues for savvy guests to find you direct. 5. Aim for direct bookings. After 2 years we are beginning to get the hang of this. It is about branding. You get to call your property anything; you can call it “Best Property for Contractors in Danderhall” or you can look at scaling and calling it – “Your property company name – street name” – if you have a separate online presence – albeit Facebook or an actual booking engine – you will now be well placed to grab those people in the know who like to book directly to get their discount. Offer 5-10% and everyone’s a winner. One area we are working on is our shoulder and lean season bookings. A rat-filled shed will get bookings in Edinburgh during August; however, giving a decent return to landlords in February is my aim. To do this, we are currently researching companies in the local environs of each property. We will email, phone and try and speak to Procurement and HR about direct bookings for their contracting staff on 3-6 month placements – yes, we will discount but, we will still return more than a standard PRT. Last winter was hard and we are keen to avoid this and with even more properties available, we have to stay one step ahead! Please return to your avatar! Who is going to be staying? What would they expect? What would they want? Trinkets? Sky TV with Sport? Your avatar will tell you – all guests require WiFi – this is not even a question. Yes, Zip and link offers flexibility but remember the extra linen costs; remember to ask guests for their preferred bed layout; remember to tell your cleaning team. My preference, if starting again, would be for twin beds. I understand that twin rooms don’t work for PRTs and if someone is changing from PRT to STR, it is a cost they may not want. If you can manage zip and link they are great but they do create more work for you! We tend to offer sofabeds in one bed and potentially two beds if there are two bathrooms. If there are only one bathroom and 2 double beds and potentially a sofa bed, we feel that 6 people, one bathroom means a recipe for unhappy guests or unhappy neighbours. 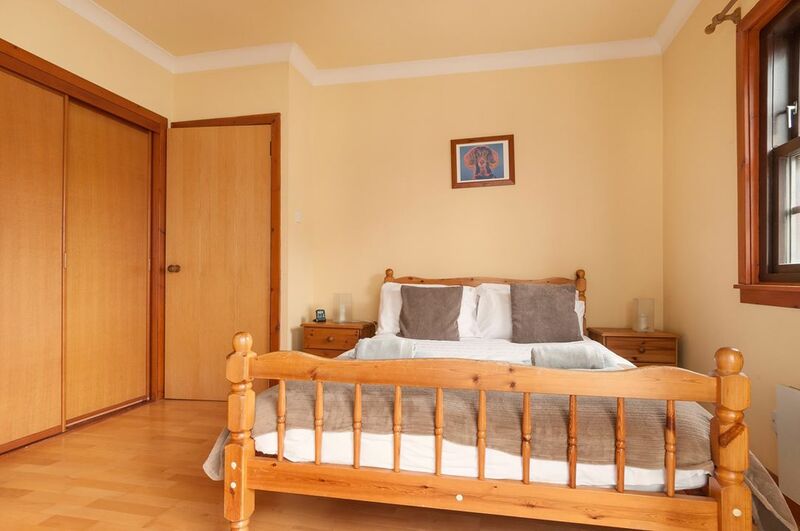 They do offer flexibility –especially if you have double beds (rather than twins) to allow 3 contractors, for example, not have to share rooms. 1. Ensuring you have the right guests. Avoid one night stays as these invite parties. Look carefully at the addresses of people when they book – if they are local, ask why they are booking. 9 out of 10 times it will be for relatives, or similar – just be aware but have an open mind. Treat your guests with respect. Treat them kindly and the law of reciprocity is strong. Immediately put their number in WhatsApp – most people will have a photo and, like a Facebook profile, a simple photo can tell you a lot. I have seen transsexual guests in lingerie for their profile photo! If you are worried, check their phone number in Google (with safe search off) you can add your hometown/city to help pin down the ‘advert’. 2. Putting off undesirable guests and how to spot them. Nobody wants to have a party hosted on their property. Parties do nothing for neighbour relations so it is important you can identify potential and head it off before you get a call from an irate neighbour – or worse, the police. Likewise, nobody wants a “constant stream of men” knocking on the door or buzzing neighbours’ flats to try and get in for a quick how’s your father with your paying “Guest”. So, you get a booking, you have checked their WhatsApp image, googled their number and perhaps found their profile on Facebook – and you now know (or at least have strong suspicions that they are planning to get up to no good – what next? Firstly, you point out that you do not accept escorts as it is a family area and you are keen to get on well with your neighbours – don’t try and phone Booking/Airbnb – they will not help. You suggest that you are willing to cancel their reservation with no cancellation fee – that will 4/5 times work. You state to them that you will not be giving them the keys so they can either cancel or if they don’t, you will charge them for blocking your calendar but you are not going to let them in. If you only suspect something is a bit fishy, we tend to get more officious than normal – we ask for passports, we ask for the reason of visit we get all legal with them. If they are genuine, they will comply – if not, they will tend to ask to cancel. It is up to you on how much information you ask from each guest – we take a view that if they are coming from Spain and they have asked for information about the city, the risk is minimal. Some trainers advocate taking photocopies, signed terms etc, everything – my view is different – if you treat your guests like criminals then, yep, they behave like criminals. Our customer service goes above and beyond expectations and this shows in the respect guests pay in the properties we manage. Occasionally a glass is broken or hairdryer is taken by mistake – guests tend to leave cash or offer to return the hairdryer with a profuse apology. Some would take £25 off the credit card – I do not subscribe to that view. Airbnb, Holiday Lettings and Home-away deal with payments for all operators. Bookings will take payment for some – we take all payments with booking.com. Your ability to take payments is important as you will hopefully receive direct bookings. Yes, you can use PayPal or insist on bank transfers but this can be expensive or laborious and with bank transfers, you don’t have access to their card details for taking anything extra for damage to your property. Be sure you are saving their payment details securely and in line with ICO and GDPR guidelines. We use Stripe which integrates well with Tokeet – this works for us but I urge you to do your own research as new products and integrations enter the market monthly. Following on from my previous point, without a credit card, charging anyone for damage is more difficult. In Tokeet, if a card does not ‘save’ it can mean several things –one of the things is that the card does not match the person, postcode or similar. It may be that they are using a business card but using their home address – find out the reason and ask them to submit new card details via the tab in the Booking.com extranet. At this point – I have recently had Stripe refuse to take a payment from a Turkish guest as Turkey – yes the whole country – is seen as a high risk of fraud area. I have subsequently asked the guest to pay by transfer and sent a Transferwise referral link! I am awaiting a response. Tomorrow I shall invalidate card at Booking.com and, if necessary, cancel the booking. So, written communication is key. And making it as easy as possible for guests to feel at home is best. Yes, we have automated emails that go out; thanking them for booking, requesting their arrival times, thanking them for their stay etc. However, it is important that guests feel there is a person at the end of the line if they need it. Most guests will not bother you during their stay but they will be happier knowing that you are contactable, should the need arise. Short term rentals are NOT A PASSIVE INCOME and you do have work at it. These can be sent out via WhatsApp before arrival or if a problem arises. It saves A LOT of time. 6. Dealing with complaints and bad reviews. Future guests read reviews. We will all get reviews that we feel are unfair – like guests saying that they could not change the heating as they were cold but did not phone, WhatsApp or contact you to ask how the heating works. In your reply, acknowledge that there was an issue (apologize if their issue has merit) and suggest how you have changed your processes to avoid the same issue arising for future guests. As I have said several times, running a Short Term Rental operation is not a passive strategy. It is hard work and yes, can be frustrating. Sometimes it will seem the whole world is against you; the guests, the landlords and the council but it can be a rewarding strategy – both financially and mentally! View our Featured Evergreen Apartments here.